The beard on the mask of Tutankhamun has been damaged in a museum in Egypt. The priceless relic was harmed during a cleaning operation in Cairo and efforts to repair the problem, after it broke were also botched, according to local reports. 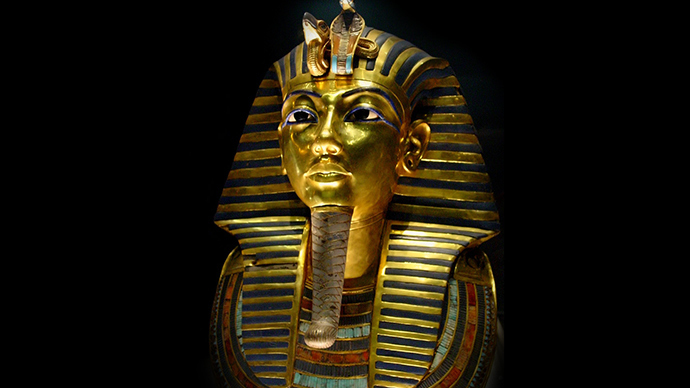 Tutankhamun’s beard is one of the most recognizable treasures in the world. However, it appears to be damaged irreversibly after museum staff used epoxy, a strong glue, to fix the beard back onto the mask at the Egyptian Museum in Cairo. The adhesive began to leak onto the mask itself, which compounded the problem after it had dried. Panicked workers then began to try and scratch the glue off the 3,300 year-old mask, which left scratch marks on the priceless artefact. "Unfortunately he used a very irreversible material — epoxy has a very high property for attaching and is used on metal or stone but I think it wasn't suitable for an outstanding object like Tutankhamun's golden mask," one expert said, as reported by AP. "The mask should have been taken to the conservation lab but they were in a rush to get it displayed quickly again and used this quick drying, irreversible material," the conservator added. The specialist also mentioned that a gap can be seen between the mask and the beard. Previously it was directly attached to the face, but now a layer of transparent yellow can be seen. King Tut's death mask's beard was knocked off during a cleaning. Okay, Hipsters. When KING TUT loses his beard, maybe it's time to shave. The museum is one of Egypt’s top tourist attractions, which also contains a number of other priceless artefacts, some of which aren’t kept in the best of condition. The Egyptian Museum hasn’t undergone any significant improvements since it was opened in 1902, while plans to move the Tutankhamun exhibit to a new site are yet to materialize. The mask was discovered in 1922 by a team of British archaeologists. An investigation into the beard incident is currently underway, according to one of the conservation team.